It’s for the original A77, body only, at $549. This is a ridiculously low price for a body with GPS which, bar a small improvement in high ISO performance stated to be 20% (I think it’s a bit more) is not far from the A77 MkII and if you have older flashguns or triggers like the Pixel King set I’ve bought recently remains ideal for flash work. That is a single shot at ISO 100 using an iLux Summit 600C flash head set on 10fps strobe, with the 16-80mm CZ lens at f/20 (it’s a powerful flash) and wireless triggering. 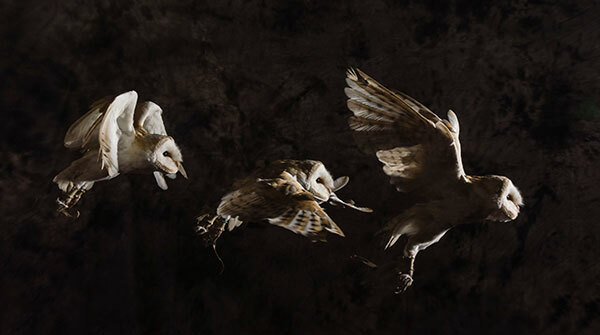 Owl in our studio, working in complete darkness. The A77 didn’t suddenly stop being a great camera because the A77 MkII arrived! At $549 with (apparently) $77.38 of free accessories this ‘holiday special’ looks like a steal.